62% of Kazakhstan is occupied by oil and gas areas, and there are 172 oil fields, of which more than 80 are under development. Oil fields can be found in six of the 14 provinces. $500m will be invested from 2015 – 2018 in major government programmes for the exploration of deep horizons in the Caspian Basin, aimed at doubling the oil potential of Kazakhstan. Furthermore, $300m will be invested in extensive modernisation programs for the nation’s oil and gas industry until 2018. These investments highlight the abundance of opportunities in the Kazakhstan oil and gas market. 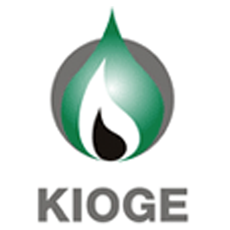 Gain new insights on the latest developments by participating the 25th Kazakhstan International Oil & Gas Conference (KIOGE).